It can be difficult to perform a job well without good tools, which is why the Freightliner Sprint Worker Cargo Van offers all the performance you need, and more. 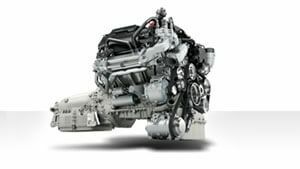 Like the workers who rely on it, this Sprinter is a workhorse, driven by a 6-cylinder fuel efficient EPA16 certified diesel engine producing 188 horsepower at 3800 rpm. Travel onsite with all your tools up to 3,500 pounds or tow a load up to 5,000 pounds. Pack the cargo area with a standard 320 cubic feet of goods, or upgrade to a 170-foot wheelbase for 486 cubic feet worth of cargo. 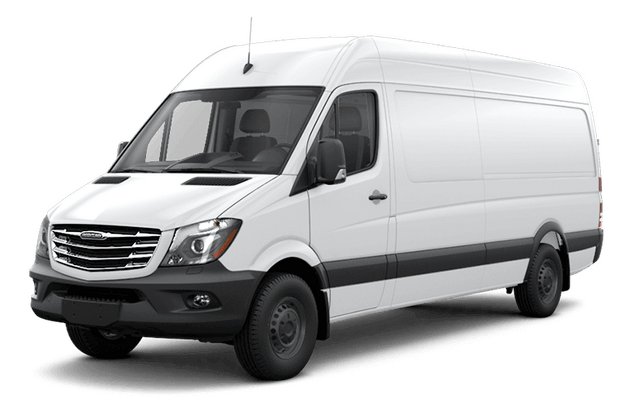 Perform tough jobs bolstered by industry-leading reliability and cost-efficiency thanks to Sprinter's service intervals of up to 20,000 miles, ensuring you spend more time on the job and less hard-earned money on repairs. Make it onsite and back home safely with standard high-tech safety features including Crosswind Assist for navigating gusting winds, Load-Adaptive Electronic Stability for dynamically assisted braking, and a rearview camera for precision parking, or select from a variety of advanced features such as Lane Keeping Assist, Collision Prevention Assist, and Blind Spot Assist for a complete protection package. Every worker needs tools. 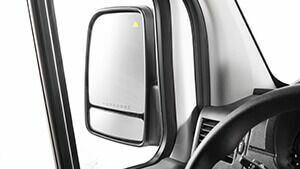 Make the Sprinter Cargo Worker Van the one you take every day. Jobs are unpredictable, so be prepared with as much power possible. 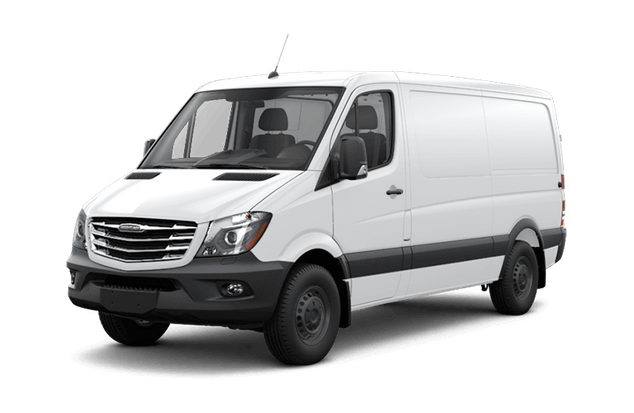 The 2018 Sprinter Cargo Worker van comes standard with a 6-cylinder turbocharged diesel engine rated at 188 horsepower with 325ft-lb of torque and a 5-speed automatic transmission. Keep productivity up and costs down with Sprinter's best-in-class service intervals of up to 20,000 miles. Enjoy improved safety and peace of mind in hazardous driving conditions with this Sprinter's included and optional safety features. Trek through high winds with Crosswind Assist and endure wheelspins easily with Load-Adaptive ESP. Add optional Blind Spot Assist for visual and audio alerts regarding your surroundings, or add Attention Assist to prevent drowsy driving. 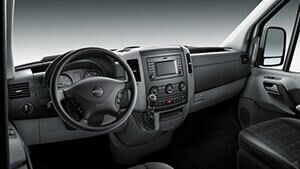 Travel in comfort and convenience with a variety of interior options such as multifunction steering, cruise control, a 12V power outlet, reading lights, cargo area lights, light and rain sensors, a rear entry step, a pixel matrix display, and much more. Choose options individually for added specificity or select upgrade packages for ease.